In this beast of a lesson, and I mean that in a good way, Joe improvises a solo using chromatic, diminished, mixolydian, and dominant ideas over a common blues jam and then takes a look at each lick. Note: Joe plays a left handed guitar and strings upside down, so the low E is on the bottom and high E on the top. 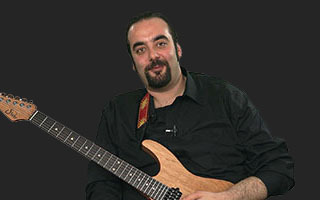 About Joe Chawki View Full Biography Chosen by popular vote to become the next JamPlay instructor, Joe Chawki jumped into the opportunity with both feet. Join him as he takes his unique, mesmerizing playing style and breaks it down so you can learn how to apply it to your own playing.